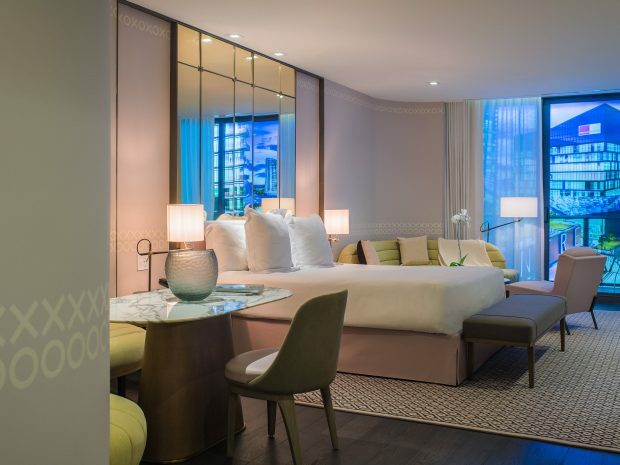 This all suite hotel, designed to indulge the senses offers guests 80 exquisitely designed suites. 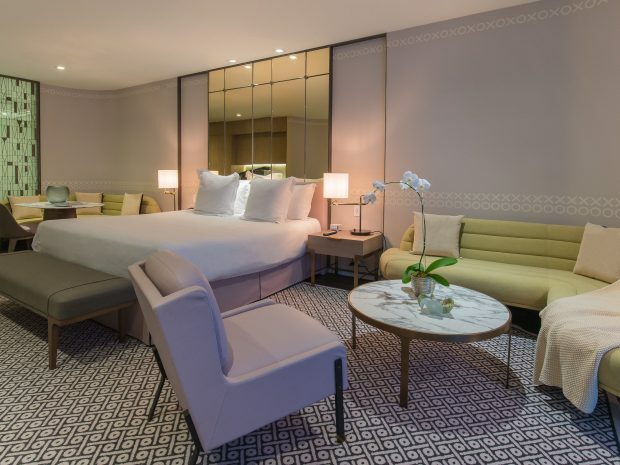 Each guest room features immaculate decor and luxuries such as contempory furnishings, minibar, high-speed WiFi, nightly turn down service, rainfall showerheads, complimentary robes and slippers, and panoramic views of downtown Miami. 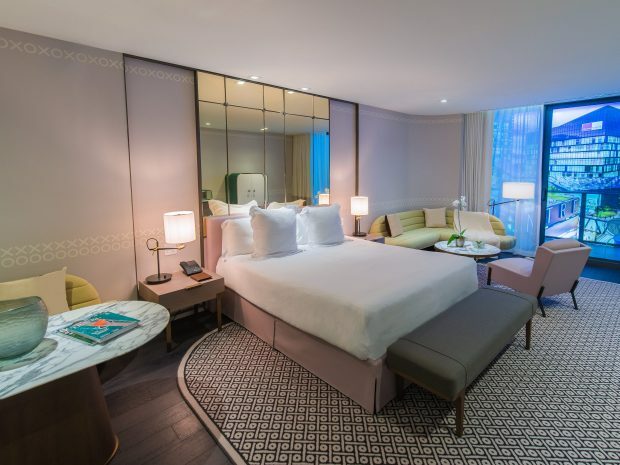 Designed to spoil guests with soaking tubs and Ciel Spa amenities, guests will feel right at home with the kitchen area complete with microwave, small fridge, mini dishwasher, Alessi china and flatware and LAVAZZA coffee machines. 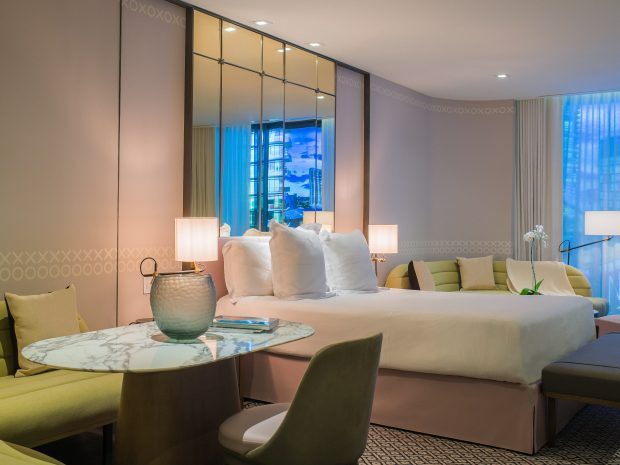 Rooms at this luxurious Miami hotel offer chic amenities, luxury linens, modern accents, and beautiful balconies with spectacular views of the city and waterfront. A facility fee of $25 per day, per room (plus tax) will apply to your booking. The fee includes Wi-Fi access throughout the entire property, access to our fitness center, and use of our house car just to name a few.